For an exclusive apartment in the very heart of Rome, look no further than the stunning Valentino’s Luxury Apartment. The excellent location puts it in the historic “Valentino’s Building” at Piazza di Spagna right by the Spanish Steps. You are surrounded by designer boutiques and the Metro station is less than a minute away. 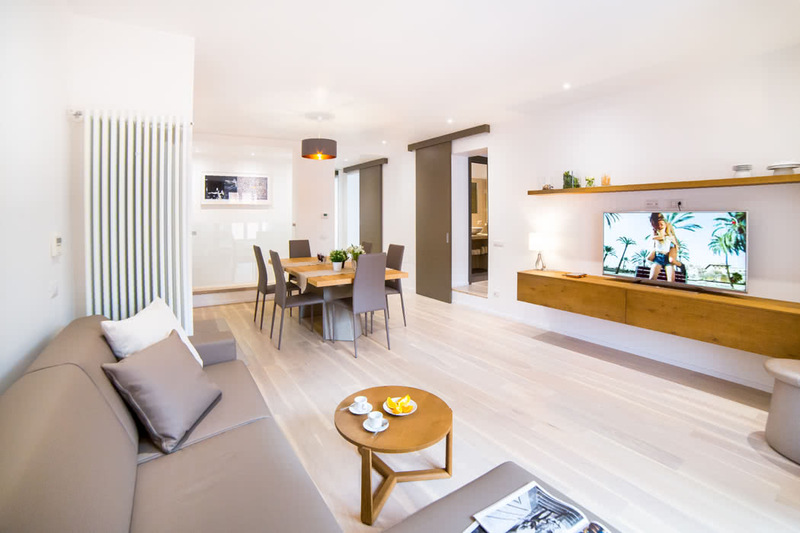 The elegant apartment sleeps a maximum of 6 guests across 2 ensuite bedrooms plus there’s a sofa bed in the lounge. 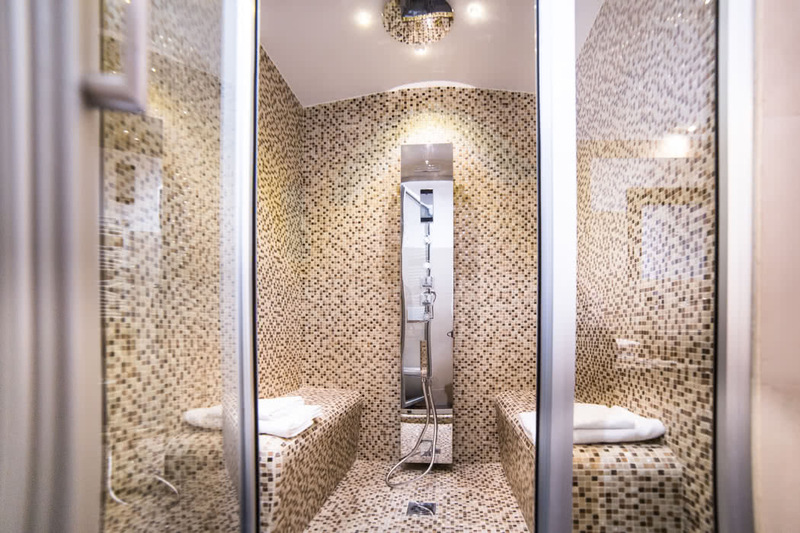 One of the bathrooms even includes a large shower with sauna and Turkish bath and a stereo; just what you need to truly relax after a busy day exploring the streets of Rome. 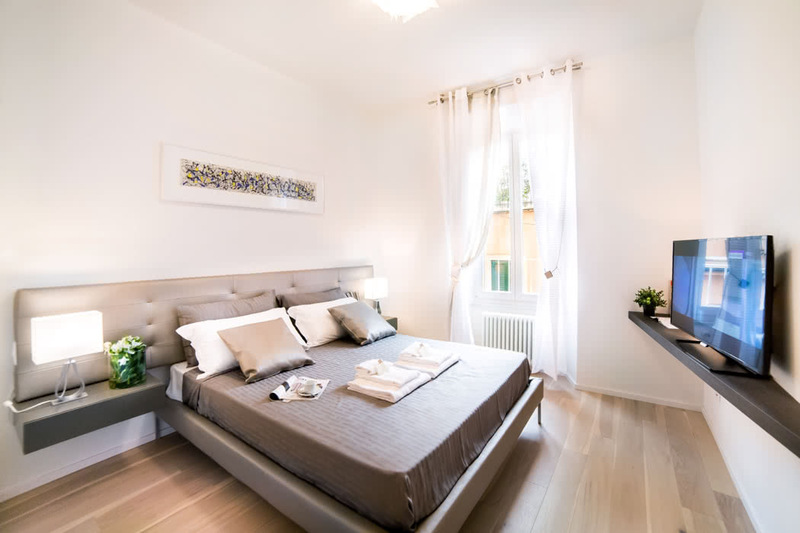 The apartment itself is chic and stylish with Italian furnishings and a calming grey and white colour palate. You can live like a Roman surrounded by the finest shops in the heart of this Eternal City. 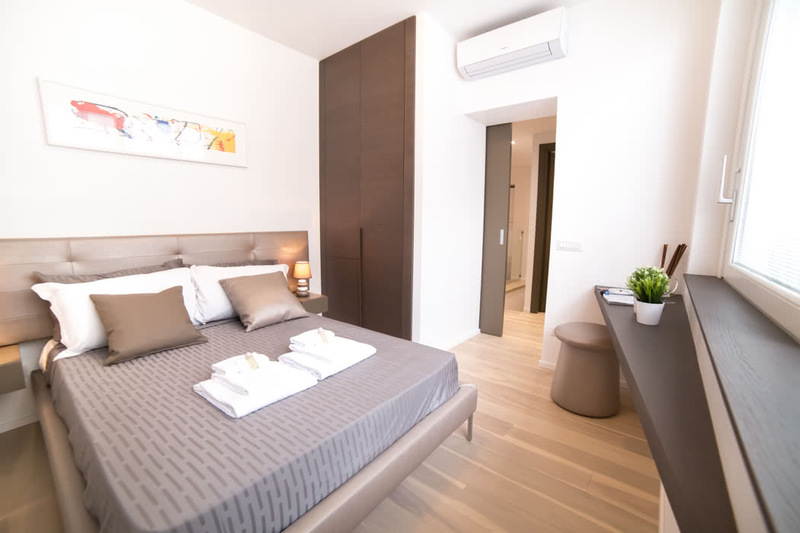 The spacious apartment is your ideal home for your stay in Rome; there is a large open plan living area with comfortable seating, a large flat screen television, balcony and great views. The dining table can accommodate 6 people and the kitchen is fully equipped with everything that you could need to whip up a feast – or maybe just breakfast, with this location you will be sorely tempted to dine out at one of the fabulous restaurants that are found nearby! 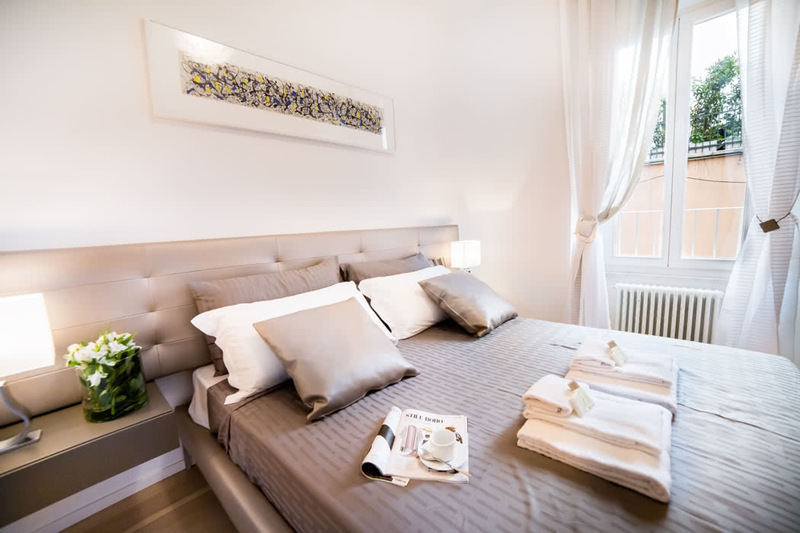 The apartment is hand-picked by Rent in Rome who offer luxurious, fully furnished apartments in top locations about the city. For a cosy hideaway just the two of you, the Dolce Vita Suite is perfect. It will actually sleep 4 people with the use of a sofa bed in the lounge but would be more suitable to a couple or a family with young children. The charming apartment is situated in Via dei Serviti just a few steps from the majestic Trevi fountain. The apartment was recently renovated by an interior designer and it really shows. The romantic wooden ceiling is stunning and creates a real Italian elegance. The apartment is fully kitted out with all mod cons and amenities that you need. If there is a large group of you, Monti Residence works exceptionally well. Monti Residence 3 can sleep 8 people across 3 double bedrooms, 1 single bedroom and a sofa bed but there are also another 3 apartments within the same building and if you rent all together you can have a fab group of 20 of you staying together; perfect for a birthday or anniversary celebration or just because! 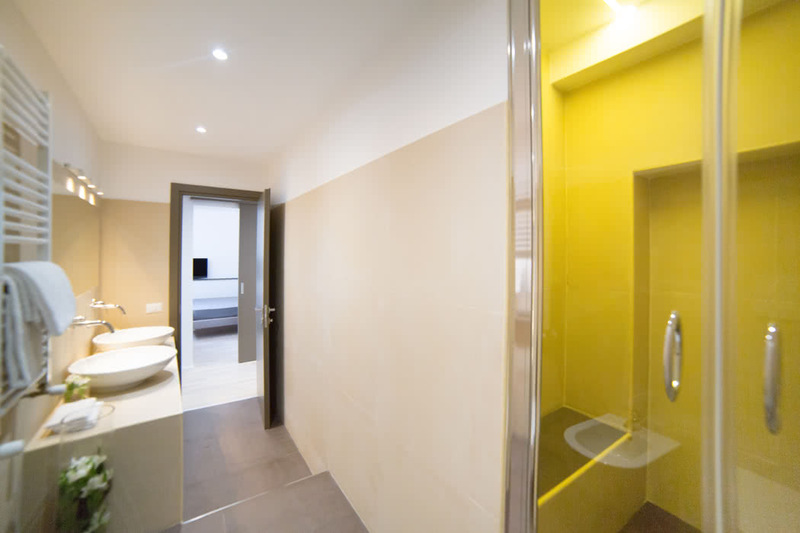 The apartment is located in the historic centre of Rome in the Monti area near to the Colosseum. 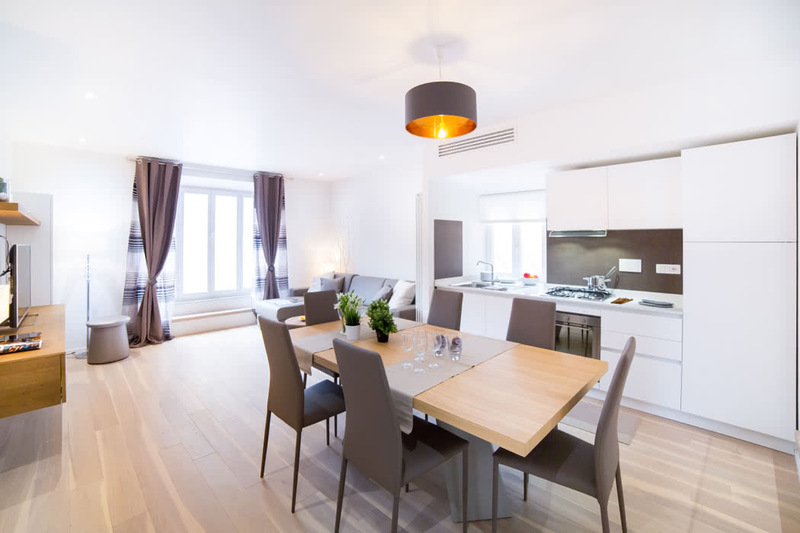 As well as the usual living spaces, the apartment boasts a sunny terrace perfect for relaxing with your friends and family. 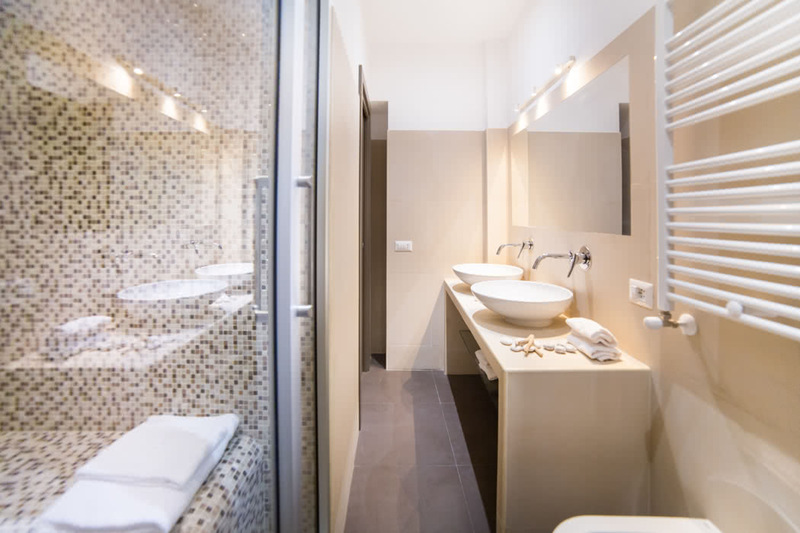 The exclusive Terrace Suite is also situated in the Monti district, right by the Trevi Fountain and Coliseum. The apartment has a private roof terrace, heaving with flowers, which looks right across Rome. It can sleep up to six and features two double bedrooms, with stunning 16th century hand-painted wooden ceilings and two bathrooms, one with shower and the other with hot tub. There is also a fully equipped kitchen and a living room with a piano and beautiful artwork adorning the walls. The apartment also benefits from air conditioning, an elevator and Wi-Fi internet. The refined Casa MANNI is located at the top of a 17th century palazzo at the corner of Piazza di Pietra in the heart of the city with the Pantheon, Trevi Fountain and Spanish Steps just outside your door. The penthouse includes an elegant living room, dining room, kitchen, bedroom, bathroom, and terrace. It is ideal for a couple or small family with one or two children. You receive a personalised service and can make use of the concierge service provided too.